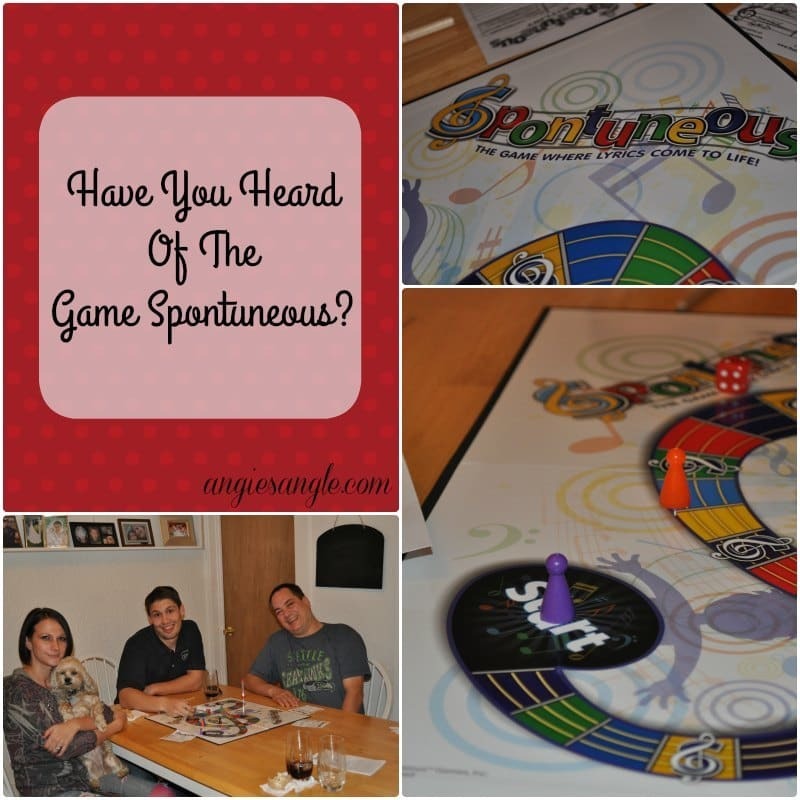 Have You Heard Of The Game Spontuneous? You are here: Home / games / Have You Heard Of The Game Spontuneous? There is nothing I enjoy more than getting a big group of people together for some actual board or card games. Always throw in some food and drinks and we have a good party. In my eyes anyway. 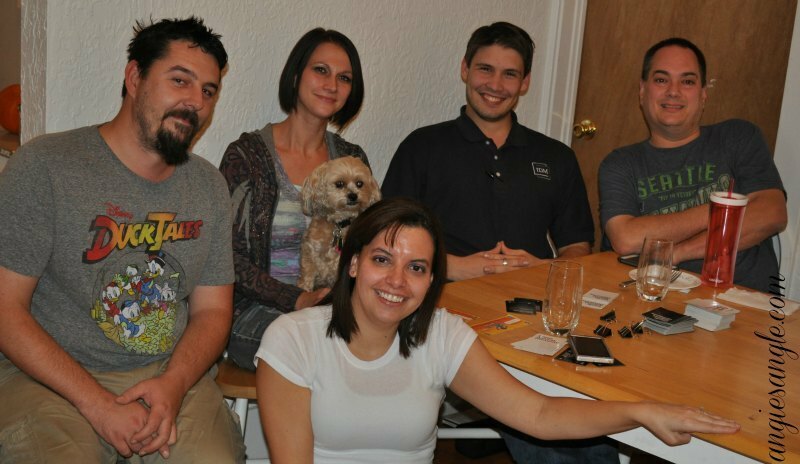 As you know from my How to Set Up a Regular Game Night, Debbie and I have been trying to get a regular group together for some game night fun. I feel like pulling teeth sometimes on getting people to respond, but I do feel like I am gathering some people who seem like they like the game nights, so that is something. I still wish I could get a few more people to join in. 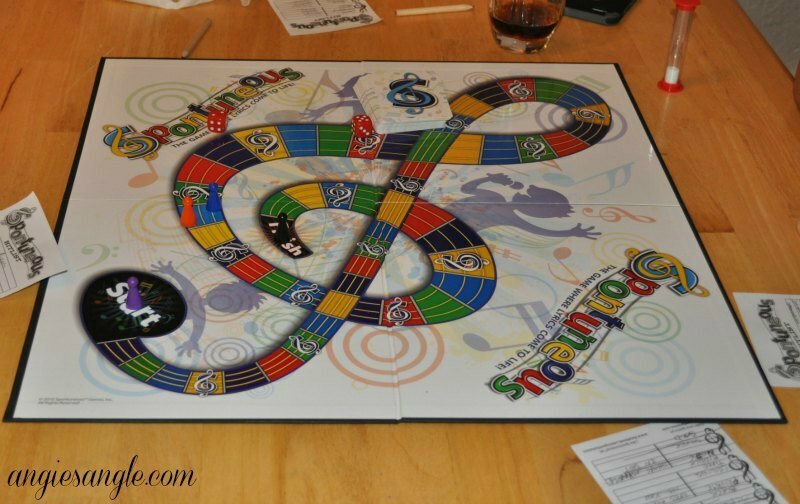 I was thrilled when I was browsing my emails one day and I saw that I had an invite from Tryazon for a board game called Spontuneous. 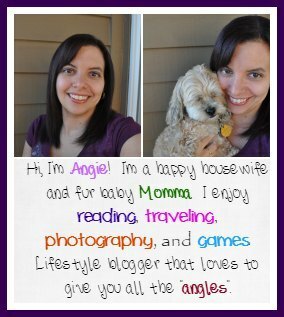 If you haven’t heard Tryazon is a site where they give you things to host a party with for free just for telling others about it. I was really hoping once I applied that I’d get picked, I had applied for other parties in the past, mainly games and never got chosen. I was so excited though when I received the email that I was approved. I quickly pulled together an event with our game group and gave them all the details on the game. I was already trying to plan a game night for November, so this fit in perfectly. 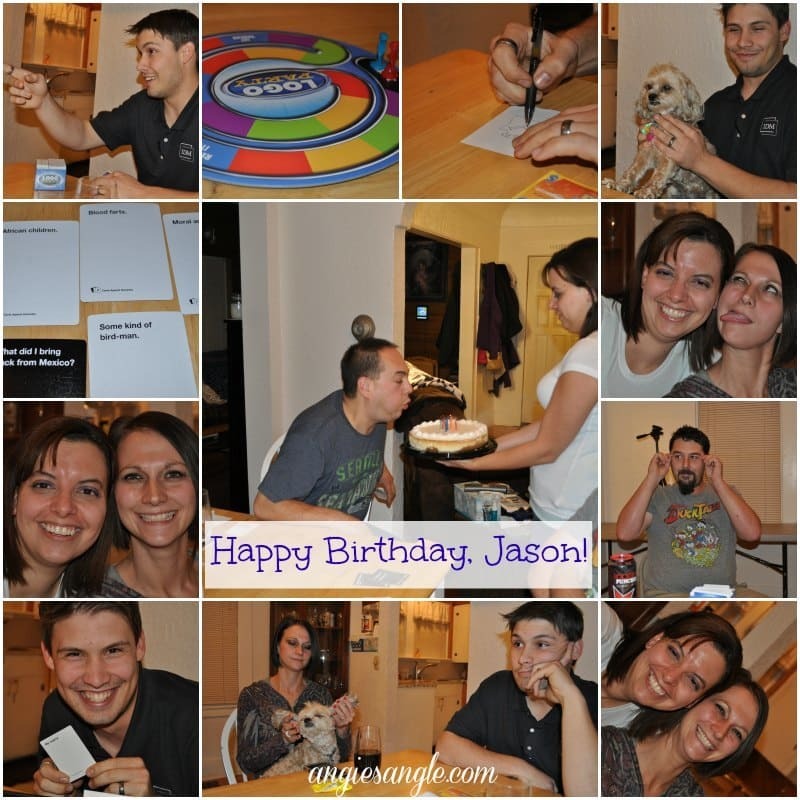 It also had just been Jason’s birthday, so was another reason to pull together a fun game night. Before we started the games underway, we ate some yummy food. I had made a slow cooker potato soup and a taco soup so everyone could have a choice of what they’d like to eat. Of course with started out the evening with Spontuneous after we ate. Is all about music. You know those songs that dance around in your head and you pick out certain words that seem to stick more than the rest of the words in the song? That is what the game Spontuneous is all about. You start out by writing down a few words of songs that are just dancing around in your head. And when it’s your turn to you tell the others ONE of those words you wrote down and they must come up with a song with that word in it in 15 seconds. Saying/Singing 5 of those words before time runs out and before someone else does. It seems simple enough, right? The only problem I had that I couldn’t think of ANY songs when people would say their words. I was stuck at start the whole game. Debbie and Ben both though they’d be stuck at start the whole time, but nope, it was just me! A fun little game though, you just got to be on your toes with songs and words in songs. You can buy it at Amazon for $29.99 right now. Are you ready for tons of spontaneous fun? TALENT NOT REQUIRED! 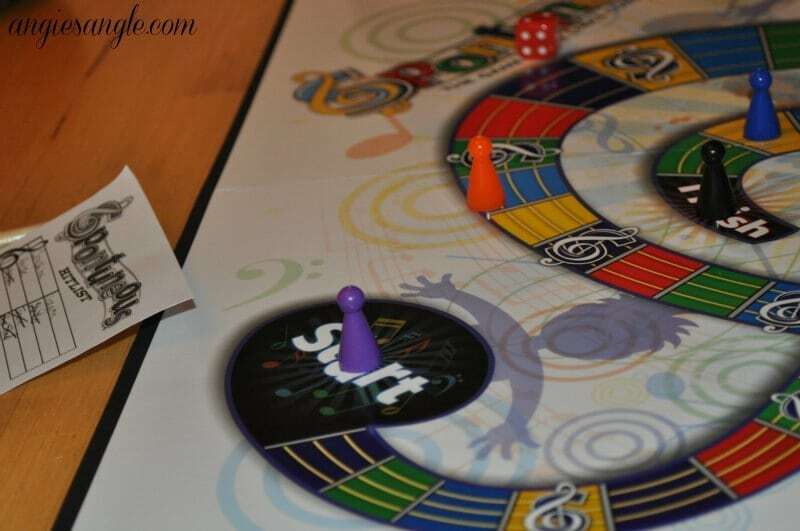 This hilarious and interactive family party board game is a great gift for all music lovers of all ages. How do you play? Simple; it’s something millions already do – You hear a word, a song pops into your head, and you spontaneously burst into a TUNE! For example: Can you think of a song with the word “COWBOY” in it? How ’bout “HEART”? Blurt it out then! Don’t worry about your voice, let it rip! 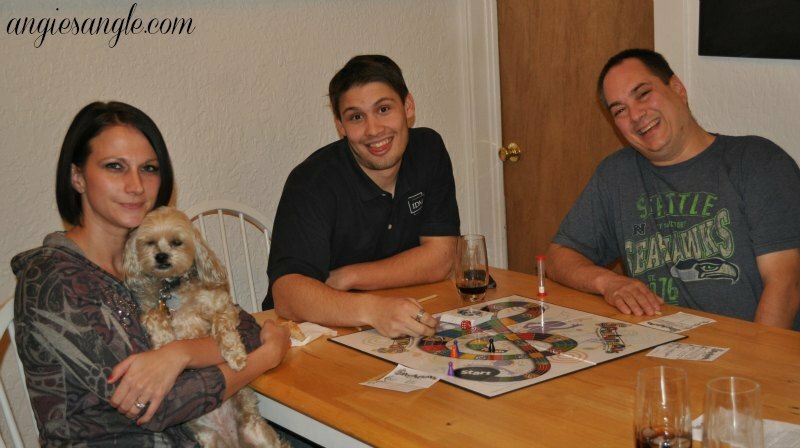 This is one of the best board games for family game night and parties with friends (heck, read the reviews below) Spontuneous will have you laughing for hours and will surely be an encore for more! (Yes, it can be turned into a drinking game too!) It’s perfect for small or large groups, for kids, for teenagers, for adults and for families! Never know, you might even make it one of your slumber party games?! Likewise, this top new fun game of 2015 and has won a bunch of awards too. Yep, it’s Award Winning! (Mom’s Choice Gold Award, Dr. Toy’s Best Vacation Product, Parent Tested Parent Approved Seal of Approval, The National Parenting Center Seal of Approval, Mom’s Best Hot Product Award, Creative Child Magazine Game of the Year, Play Advances Language Award) Guess what!? It’s also one of the top-selling board games! Spontuneous is the only music game that crosses all genres and all ages (even Grandma and Grandpa) can play together. It plays best with 4-10 players or teams. Kids, teens, college students, adults and families love it alike! It sparks conversation and memories of music; especially where one first heard a song. One of the best gifts for music and lyric lovers. Although it’s tons of fun, Spontuneous is also good for your brain (that thing stored in your cranium.) It improves memory recall and word association skills. Every game is unique and never grows old; which means it has excellent replay value. The 50 Spontuneous Challenge Cards add an element of strategy and chance for more fun! These cards aren’t against humanity, they are for humanity, which is something this world could use more of! I think overall we enjoyed the game though, even with me stuck at start the whole time, it was fun to hear what people thought of as words and the songs that they strung with them. Do you think this is your type of game? Do songs get stuck in your head and think you can stump others by just saying one of those words of songs that get stuck in your head? Next up was Logo Party. Jason and I have played a couple of the Logo games and I was excited to try Logo Party for the first time. Logo Party is just like it sounds. You do random acts (draw it, describe it, do it and reveal it) to guess what brand logo it is. We hadn’t played it before, so we had to read the directions first and Jason got it pretty quickly and we were on our way. It was a lot of fun. I don’t think we shuffled the cards very well because we seemed to get a lot of the describe it cards more than do it or draw it. I had to keep reminding myself we were doing brands, not just things. Logo Party gives you and your friends four exciting ways to play with the brands you love: Draw It, Do It, Describe It, and Reveal It! The Logo Timer doubles as a card revealer! Watch as a brand logo is slowly revealed. Shout out the answer first to win the card! The first team to reach the Logo Party Space and successfully answer a “Reveal It” Card, wins! Logo Party tests your brand knowledge in teams of 2 and is made for brand lovers ages 8+. You can buy Logo Party right now on Amazon for a great deal of $7.16 (as of 11/16). We had a good time with it! We ended the adult game night with Cards Against Humanity. I have all but two of the expansion packs and was excited to get to play again. There was tons of laughter and awful thoughts! If you already don’t have Cards Against Humanity, you can snag it at Amazon for $25. Because you really do need it for your next adult game night if you don’t already! So there we have it, that was our game night featuring the game Spontuneous. 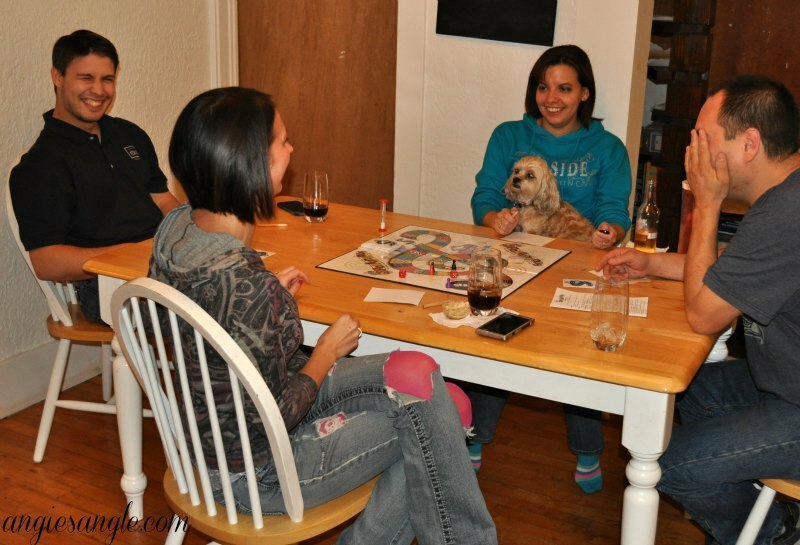 When is your next game night? Maybe you need to grab these games right now so you can play them for your next game night!